Oh my goodness, friends! 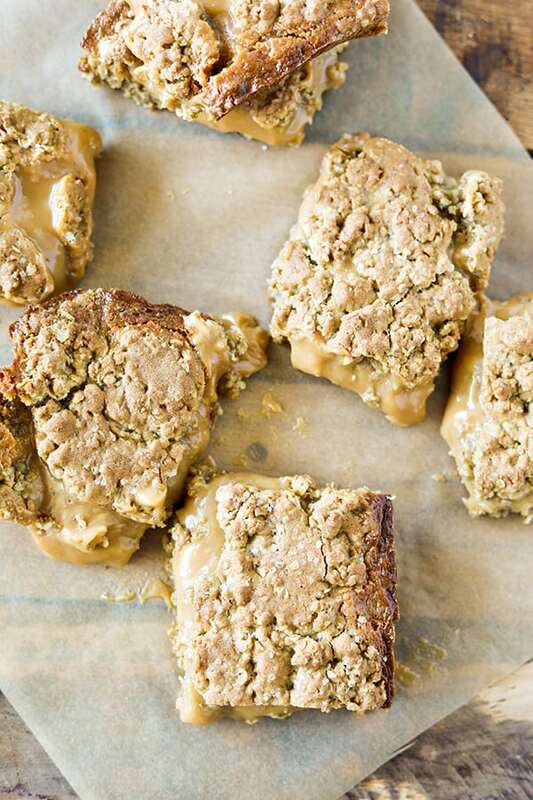 Run, don’t walk, to make these amazing Salted Caramel Revel Bars. Revel Bars are an oatmeal cookie bar featuring a layer of oatmeal cookie, usually with a chocolate filling, topped with another layer of oatmeal cookie. 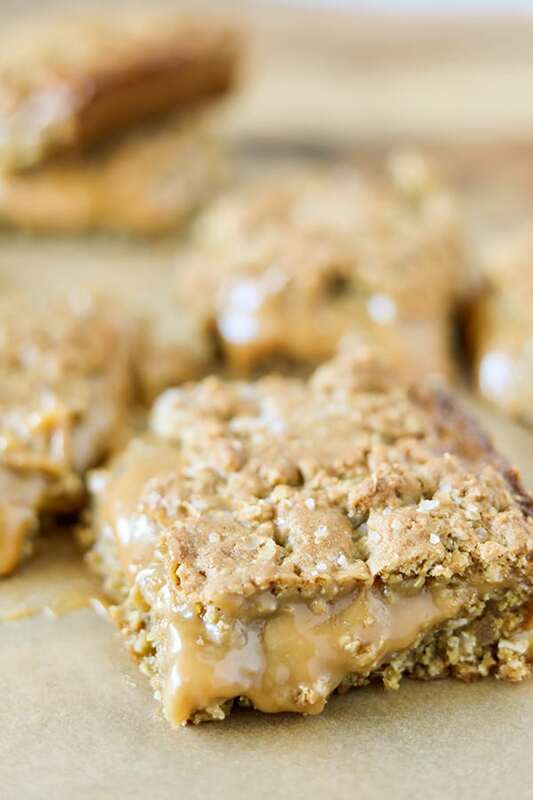 But the combination of buttery oatmeal cookie bars and a rich and delicious salted caramel filling in these revel bars is just perfect! 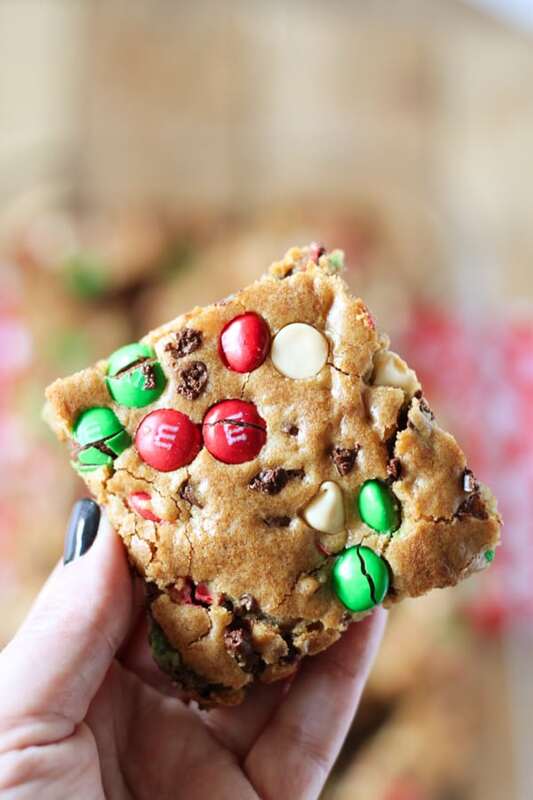 These bars are absolutely out of this world delicious! Seriously one of the best things I have ever baked. 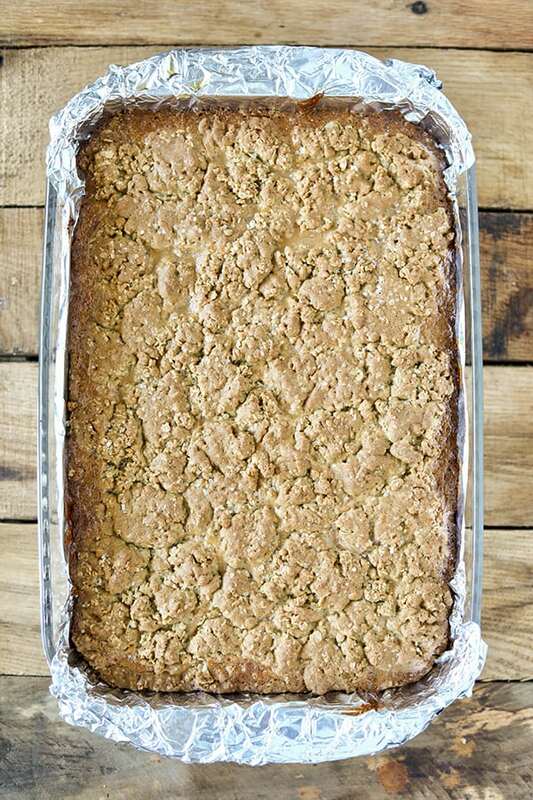 This recipe makes a full 9×13 pan of cookie bars, so it’s ideal for serving a crowd or taking to a party. Start by mixing the oatmeal cookie dough. It’s a thick dough, so I reccomend using a stand mixer. 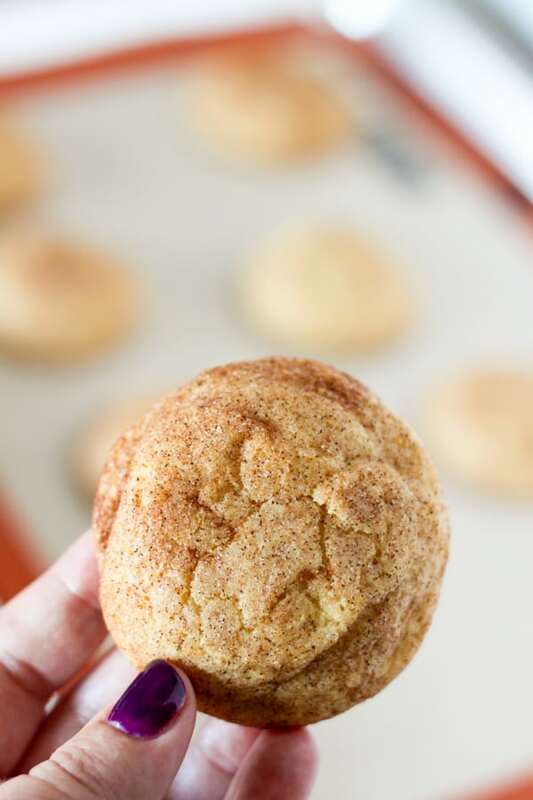 If using a hand mixer, you will likely have to stir in some of the flour and oatmeal by hand. 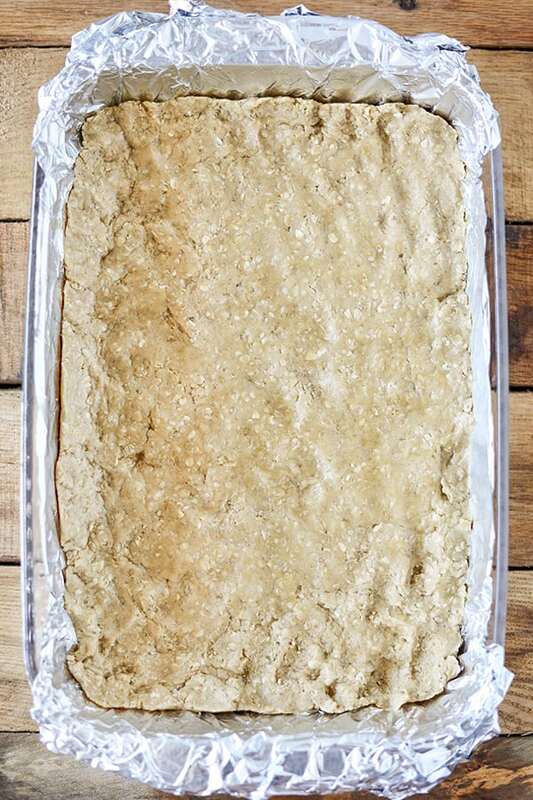 Press 2/3 of the cookie dough into a 9×13 glass baking dish that has been lined with foil and sprayed generously with non stick cooking spray. 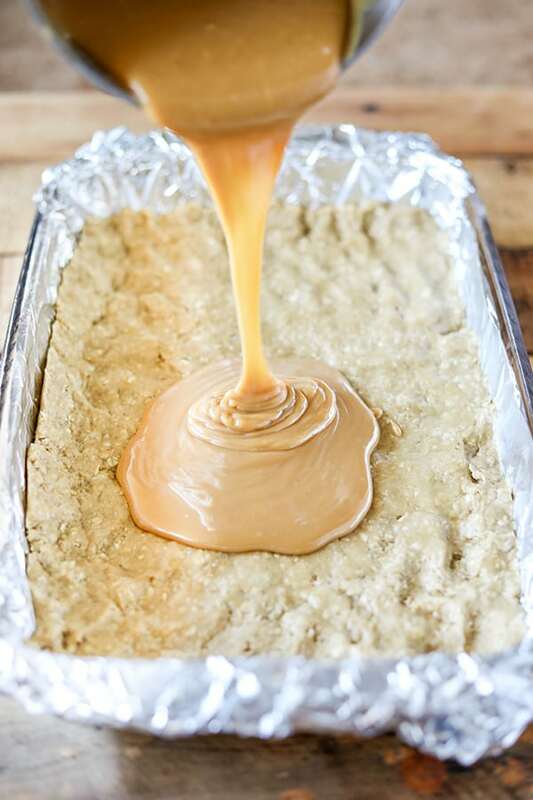 In a small saucepan, heat caramels, sweetened condensed milk and two tablespoons of butter until smooth. Then, stir in two teaspoons of vanilla extract and 1/2 teaspoon of sea salt. Pour caramel filling over cookie layer and spread evenly. Top caramel layer with remaining 1/3 of cookie dough. I just dotted the cookie dough over the top making it as even as possible. It will spread while baking. Sprinkle remaining sea salt over bars and bake. Let cool and carefully cut bars. I couldn’t resist cutting into these bars before they were fully cooled, so my caramel was warm and gooey. For neater slicing and serving, let bars cool completely. Line a 9x13 glass baking pan with foil and spray generously with non stick cooking spray. Set aside 2 tablespoons of butter. In the bowl of a stand mixer using paddle attachment, beat 14 tablespoons of butter with brown sugar and baking soda until fluffy, scraping down sides of bowl as needed. Add eggs and 2 teaspoons of vanilla and continue mixing until well combined. Add flour followed by oatmeal. For caramel filling, combine remaining two tablespoons of butter, caramels and sweetened condensed milk in a small saucepan. Heat over medium low heat, stirring occasionally until smooth. Stir in two teaspoons of vanilla extract and 1/2 teaspoon of sea salt. Divide cookie dough and press 2/3 of the dough into foil lined pan. Pour caramel filling over cookie dough and spread evenly. Top with remaining 1/3 of cookie dough. Sprinkle with remaining 1 teaspoon of sea salt. 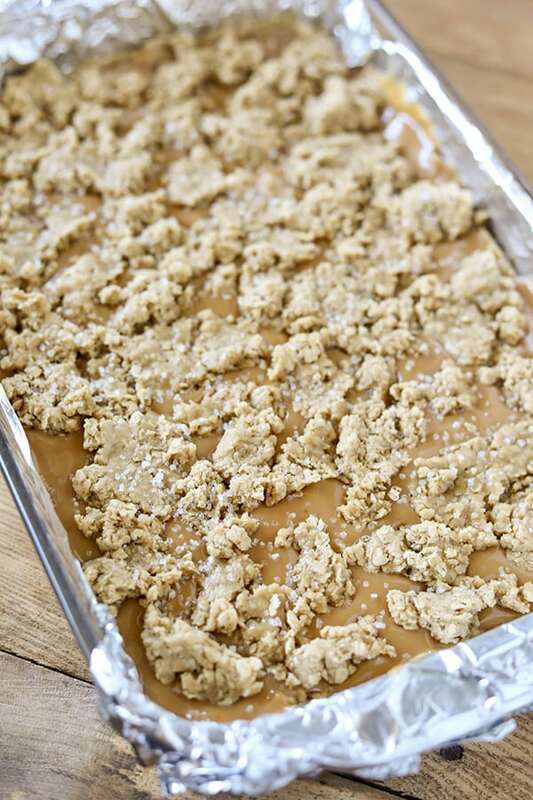 Before baking, the top layer of cookie dough will not cover the caramel completely but will spread during baking. 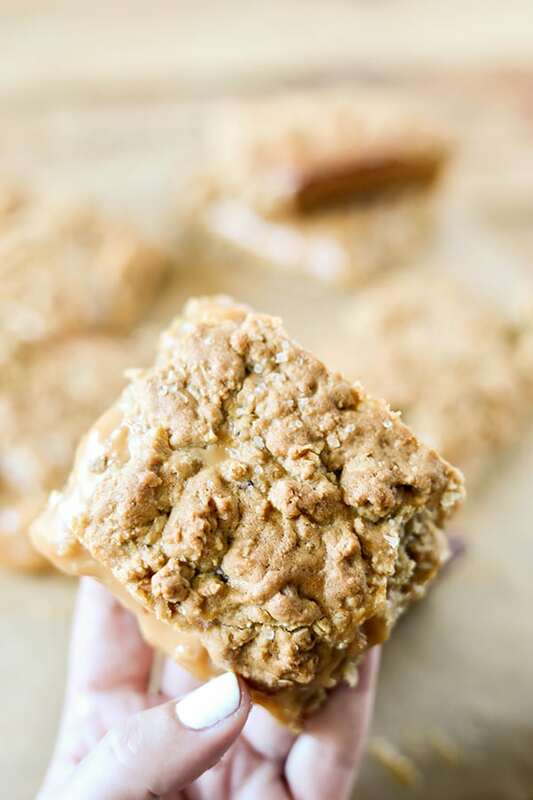 Salted caramel cookie bar perfection! These sound delicious!! Quick question, though: Ingredients list 16 Tbs (2 sticks) of butter. Then directions say to set aside 2 Tbs of butter, and later mix 16 Tbs butter in with the dough and 2 Tbs for the caramel mixture. So are 18 Tbs total needed (16 for dough + 2 for caramel), or do 14 go in the dough + 2 for caramel? Or did I misread something? Thanks! I’m looking forward to giving these a whirl! Thanks for the catch! It was a typo in the instructions and I fixed it. Start with two sticks of butter and reserve two tablespoon from those to use for the caramel sauce. Please let me know when you make them! 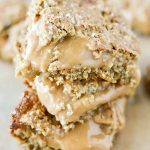 I’m just crazy about this recipe and I’m excited to hear feedback!